Not only has the political Left in Europe failed to take the lead on how to handle the refugee question with humanity, but it appears to have given up on trying to put forward a positive picture of migration as a social reality that can be a progressive influence in society. Despite the fact that we have seen how showing political courage in this direction can change the tone of the debate and change mind-sets, the Left panders to the unfounded fears of those who believe in the illusory solution of closed borders. An interview with François Gemenne by Claire Hugon. Claire Hugon: It seems as if people have lost the ability to talk about borders, except to call for their closure. Has the Left capitulated on the issue of borders? François Gemenne: I think the Left is deeply uncomfortable. It feels a bit trapped on this subject and so ducks around the debate and fails to put forward proposals. In fact, it basically defends the same thing as others, with a few slight differences. There are, of course, touches of declared humanism, but generally the Left has joined the dominant and currently prevailing stance which is a managerial and administrative discourse. Some feel an affinity to the idea of opening borders (this can be said about the Right, too), but no one on the Left would dare seize the idea and use it as a basis for public debate. The only political force that has shown a real political platform on the subject – as repulsive as it is – is the Extreme Right. So, it is the Extreme Right that is driving the terms of the debate. All other parties, sadly, have given up any ambition in the area. Can we really refer to it as a debate if the only dissenting voice is the Extreme Right? With so little choice, it is more as if they have hijacked the debate… If the other parties allow the Extreme Right to set the tone of the debate, doesn’t this mean, by extension, it heightens their visibility and gives legitimacy to their ideas? In France in 1984, Laurent Fabius, then the prime minister, stated that the Front National (FN) was giving the wrong answers, but was asking the right questions. In doing so, he effectively handed control of the media and political agenda on these subjects over to FN. The fact that the Left has capitulated is made even more flagrant by the fact that the moral compass is currently set by people from the Centre-Right: Angela Merkel, Jean-Claude Juncker, Pope Francis… Meanwhile, the Left takes a harder line than the Right at times, if we take the example of the harsh criticism levelled against Angela Merkel by former chancellor Gerhard Schröder, or Slovakian Prime Minister Robert Fico’s statements that he would like to “monitor each Muslim in the country.” Or, more recently, the president of the Flemish Belgian Socialists John Crombez, who suggested sending ships of migrants back out to sea, taking a line from the Dutch Socialists’ playbook. It could be said that a wedge has been driven between sovereignism and universalism. And that has been added to – or even replaced – the more traditional Left-Right divide. We have a frightening lack of proposals on what is a fundamentally very political question. Why is the Left so petrified? Why is it so incapable of coming up with a different, more open position? Is it muzzling itself out of fear of losing votes? Or does it truly believe that there are no better solutions? A little bit of both. Those on the Left who might be in favour of opening borders are terrified of coming off as crazy or overly idealistic if they were to put certain ideas on the table. However, we mustn’t forget that there is a part of the Left that is fundamentally xenophobic and anti-migrant. Immigration is seen as a threat: a threat to healthcare and retirement, to welfare and women… Many still interpret social struggles in the strictest sense within national borders: by questioning borders they feel they are questioning hard-won social rights. It could be said that a wedge has been driven between sovreignism and universalism. And that has been added to – or even replaced – the more traditional Left-Right divide. Soverignism has become very common on the Left, with inter alia, a return to protectionism. Current political stances must be interpreted through the lens of this new divide – if the traditional Left-Right divide even still exists. In this respect, the Left’s fear of immigration is due to its connection, in their minds but rightly so, with globalisation. Rather than seeing globalisation for what it is – a reality, a proven fact – the Left remains generally bitterly opposed. This is because globalisation purportedly threatens the rights and principles that we, as a nation, established for ourselves. It is still very challenging to conceive of social struggles outside of the Nation State intellectual mind set. We are stuck in the idea of an ethnically homogenous nation, which is, therefore, threatened by immigration. It is absurd and anachronistic to defend the idea that a given land belongs to a given people. As if there were some law enshrining ‘seniority’; on the contrary, we are moving towards a virtuality of the idea of nation, where people from around the world will live around the world. Sovereignty continues to be interpreted as the supreme power of a given territory. It is a concept that has not evolved at all since 1648 and The Peace of Westphalia! Questions of migration, but also ecological questions, amongst many others, make it necessary to change the concept of sovereignty. What’s more, the model of Nation State is being stretched from all sides, with European integration continuing at the same time as movements for independence are gaining ground. But this does not make borders redundant: for example, they give structure to the democratic space, they circumscribe the limits of citizenship both in political participation and law enforcement. Borders are still considered mandatory in protecting cultural identity over uniformity. You cannot ask for borders to be opened and then deny that it is tantamount to abolishing them. Of course! When it comes to open borders and the free movement of people, lifting borders means making things increasingly cosmopolitan and spreading universal values and rights. I would like to see a series of values and rights become universal more than I would want them to be made available only to a given country. The Left has abandoned a certain Marxist idea of internationalism in the class struggle around the world. Today the Left is latching back on to ideas of economic patriotism and national pride, which have such reactionary and sovereignist undertones. And let’s not forget the universality of human rights, an integral part of the Left’s platform. Perhaps it would be worthwhile to place the Left’s renouncement of the issue of borders in the broader context of its withdrawal in other areas – namely the fight for equality and on the role of Government? To divert attention away from its surrendering on these fundamental issues, the Left has gotten bogged down in a debate about security and waves the functions of government to give public opinion the impression of a strong and firm state presence, even if this means valuing symbols over substance. There is some of that. But there is also a desire to protect those who lose out in globalisation – those who do not frequently come into contact with immigrants and those who benefit very marginally from mobility. Their view of immigration is formed predominantly by the experience of a few acquaintances who are the product of immigration or by what they see in the press. For those who feel left to the wayside by globalisation, the message that immigration represents an opportunity will not resonate, on the contrary. Moreover, opinion polls show that voters could easily shift to the Extreme Right, which explains the Left’s position on immigration. It is very convenient to blame attacks on our social programmes as something that comes from without. In fact, in many places, and in Belgium for example, the parties in power are actually picking it apart from within… Migrants are great scapegoats, specifically since they have no say. They’ve been blamed for economic deregulation, when in reality they are the primary victims. On the one hand, tough symbolic measures are taken to demonstrate that the immigration “problem” is being tackled. On the other, many workers are voluntarily maintained in a state of illegal work to make up the notorious corps of cheap labour. If we allow migrants to work legally where they live, they can begin to integrate into society and pay social contributions and taxes. Indeed, there is a lot of hypocrisy when it comes to the labour market. The fear is that opening borders will throw the labour market off-balance, whereas it would actually strengthen the social protection of workers. The issue of posted workers is one that causes much concern, particularly when the idea of opening borders is mentioned. However, that situation which is actually scandalous is completely independent from opening borders. If posted workers had normal access to the labour market, all of these unwieldy configurations would not be necessary. There is still the idea that all that is foreign is threatening. Somehow, we are unable to see how migrants would increase the “social pie”, we only seem to be able to see them as those who will make each individual slice smaller. Even if, in reality, the betterment of working conditions of migrants would mean the betterment of working conditions for all. Yes, there is this way of thinking that would have us believe that we are dealing with a zero sum game. As if when we improve the rights of some we inevitably must undermine the rights of others. When it comes to some subjects, such as marriage between homosexuals, many people who are not personally in favour would never have dreamt of opposing a measure that would simply give more rights to a group in society. The same cannot seem to be done when it comes to immigrants’ rights, because there is consistently this “us” and “them”. Yet, if we exist in a cosmopolitan logic there is no “us” and there is no “them”. The very concept of a foreigner ceases to exist. There is also blatant imbalance in the way the media is handling the subject, especially when it comes to reporting about crimes committed by immigrants. Immigrants are always reminded of the fact that they are immigrants, which becomes an inherent part of their identity. We fail to remember that when migrants come to a country they are just people. Some are exceptional people, some are jerks, and others are even racists. Albert Einstein and Steve Jobs did not revolutionise physics because they were a product of immigration but because they were exceptional! That is why I reject the argument that immigration is an opportunity or a source of wealth; it is simply a social reality. And this discourse – well intentioned as it might be – that underscores that this athlete or that athlete is an immigrant – is as insufferable to me as one that stigmatises criminals or delinquents. How can we, as Greens, address the issue of borders differently and begin the process of winning back the ideological battle? Arguments exist, data exists, and academia and civil society are prepared to assist… How can we translate these into politics? First of all, we have to stop thinking about what public opinion will be. When Angela Merkel decided to open the borders and welcome in massive numbers of refugees, she did not have a constituency that was much more favourable to the idea than anywhere else. Moreover, the Extreme Right in Germany might not have great electoral clout, but it is nonetheless more violent than in many other European countries. That is a great political lesson: she presented welcoming refugees a key element of globalisation – of course she has the great advantage that no one will mistake her for a crazy dreamer with no sense of pragmatism! Her public opinion, comprehensively, followed her lead, even though she is in a tough spot now because she has not received support from Europe. One year ago, no one would have believed that Germany would be able to increase its population by 1% through immigration – a majority of whom are Muslim – but she said “Wir schaffen das”, and they did it. With a bit of tension and a few challenges, but they did it. Many still interpret social struggles in the strictest sense within national borders: by questioning borders they feel they are questioning hard-won social rights. I think it is an inspiring example, because it shows that political courage can sway people to support. A few weeks ago, I gave a conference on immigration in Munich. The people there spoke of the “Miracle of Munich”: even they were surprised by the generosity of which they were capable. I believe that courage breeds courage. Merkel did not welcome the refugees only because of her enlightened spirit. She was looking to Germany’s future, a part of her plan for the country in 25 years. She showed that it was possible; many parties were hiding behind public opinion that they interpreted to be negative or to which they themselves contribute a negative opinion, so to not have to act. All too often, we believe something is impossible simply because it is not an option political parties are putting forward. I believe that the first and most important step is to offer a credible option and then convince people it is possible. If there is a debate on the subject, all the better. Our role is to carve out a space for that political debate, and to make it a part of the political agenda. It would be worthwhile to show just what open borders means. We should make this option a concrete one. We can state that open borders does not mean no borders: it would mean the end of visas, but not the end of passports. We can explain that it will not mean massive additional flows of immigration. A plan for migration is an imperative. It is so immense that it is not something that can be controlled by the simple opening and closing of a border. We must absolutely dispel the belief that if we open the borders there will necessarily be migration in every direction. It is not an open border that is going to change a migrant’s decision to migrate or not. Just as a closed border will not. The main effect that open borders will have is to make migration safer, more dignified, cheaper. The political challenge is that all borders must be open: no one country will do it alone, for fear (partly founded) that all migrants stuck around the world will come in through the open door. One of our goals in the MOBGLOB project was to study and forecast concrete effects of this opening of borders. The main conclusion of our work is that it will not have much of an effect on future migratory flows. It will change the conditions of migration, but not whether or not that migration will take place. Greens find themselves in a strategic context. 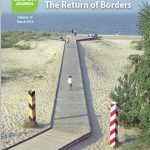 We can be in favour of embracing the opportunity to open borders: current events motivate us in that direction and in Belgium, like in many other parts of Europe, we are in the opposition. This means we can be free in expressing our view on the subject. We do not need to satisfy a coalition partner. Having said that, from within our ranks, I am astounded to see many people are frightened by the idea that we might call for the opening of borders as a political objective. They are afraid of voter backlash. It is very difficult, impossible even, to convince an entire population to back your ideas. That should not, however, prevent us from adopting a platform for society. What counts is upholding one’s integrity and proudly promoting one’s political views. That is what garners enthusiasm and support. Voters respect political platforms with coherence and rallying power. The Left is currently failing because it is not attempting to lead a shift in mind-sets: it has given up trying to convince, and follows opinion polls. It seems there is room for messages that are not of fear or despair. We are remiss not to grab hold of that space, to have left the Extreme Right and Nationalists to set the agenda on these subjects. I think voters deserve more of our trust too. When the Left fails to discuss a plan to open borders on the pretext that the public is deaf to it, this constitutes an insult to the voters themselves. It is condescending; it shows a lack of confidence in the ability of people to think, engage, be generous and be clairvoyant. Not only do we deprive the people of a political opinion, we deprive them of the chance to be a part of a mobilising and positive movement. In France, a small village had a chance, almost by happenstance, to welcome a Nepali family that had lost everything in the earthquake of 2015. The people of the village were so enthusiastic and changed by the experience that they founded an association to help Syrian refugees. The Miracle of Munich can be replicated everywhere.